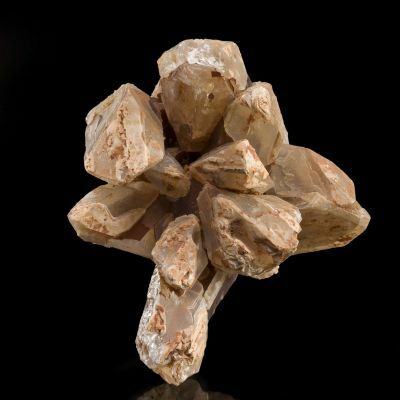 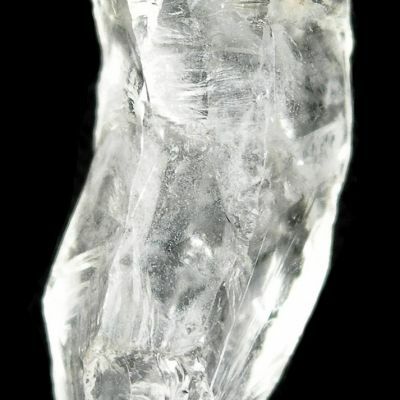 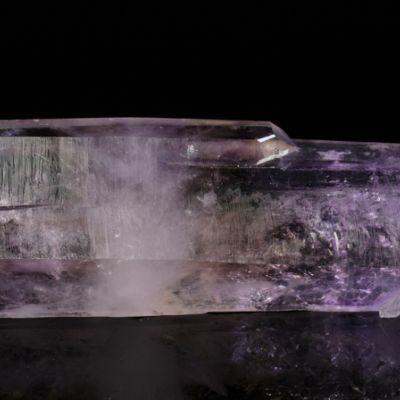 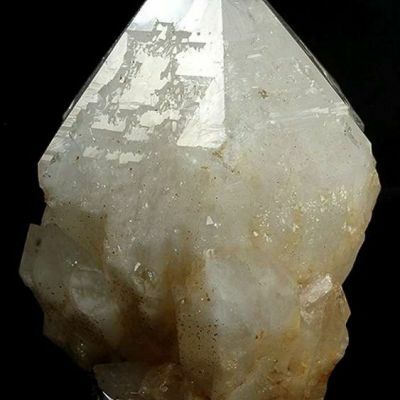 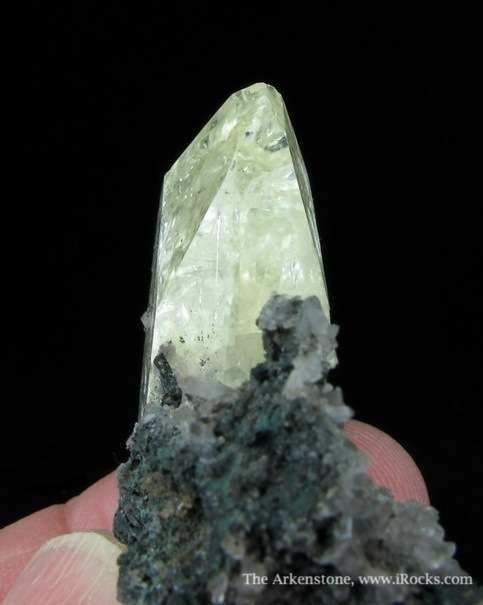 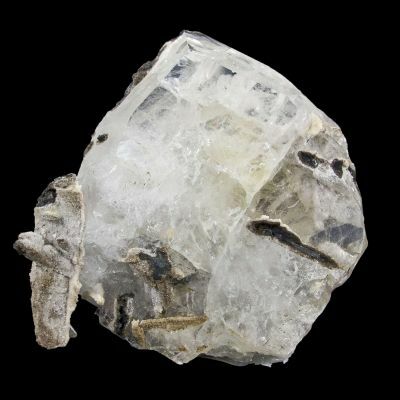 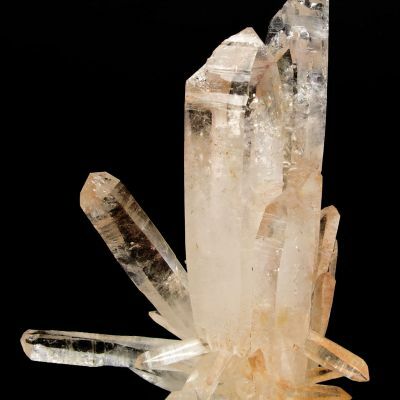 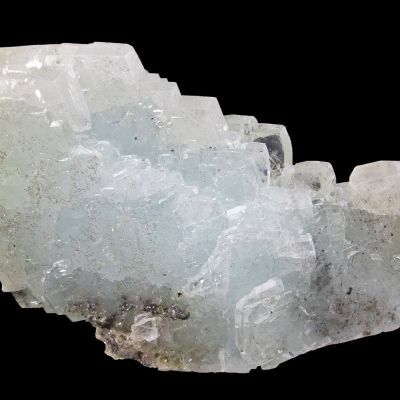 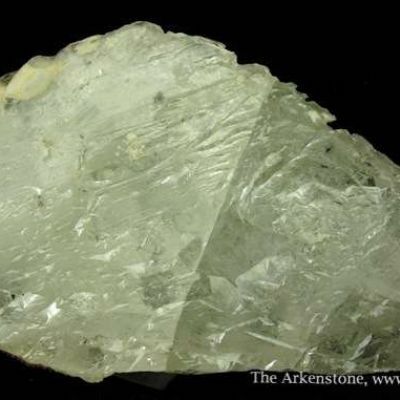 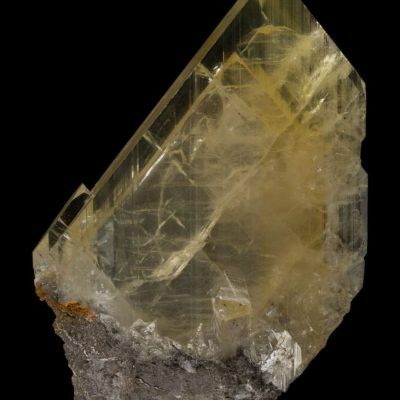 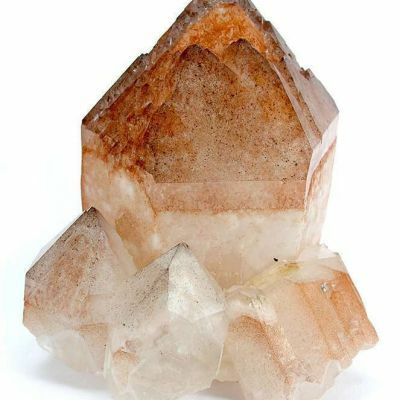 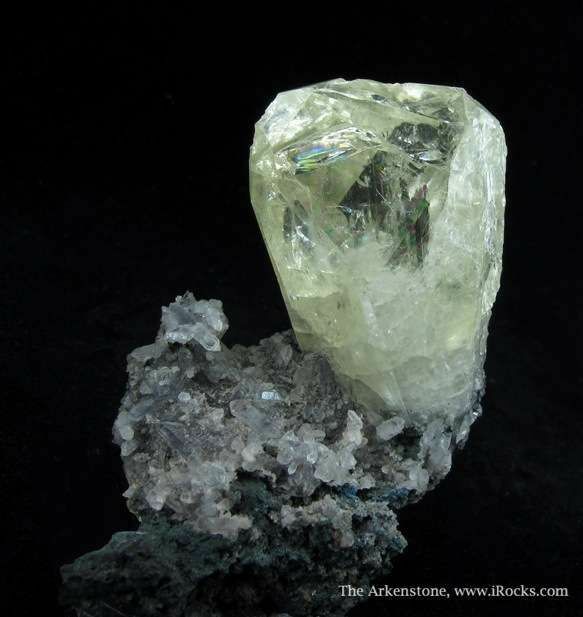 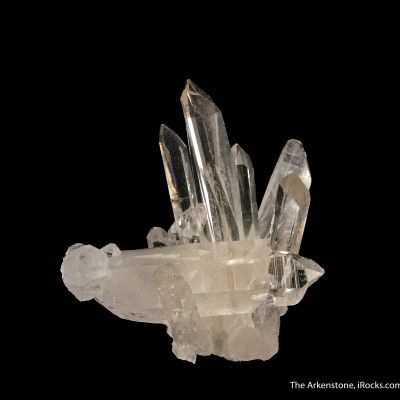 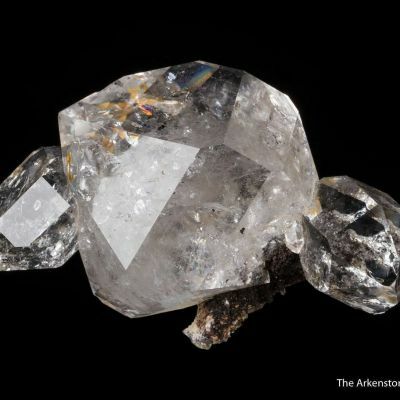 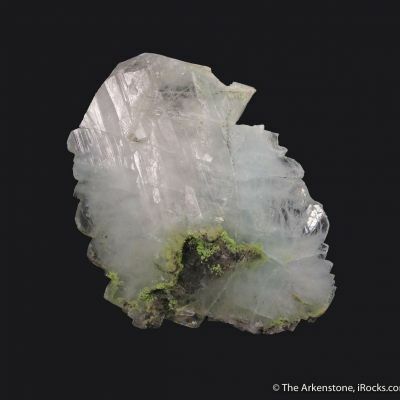 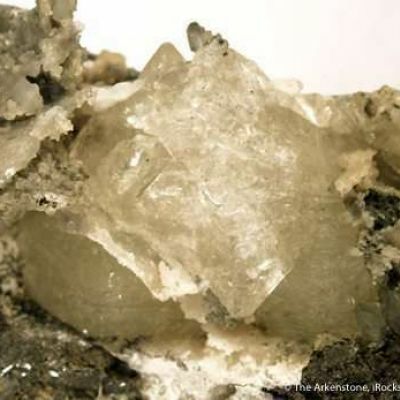 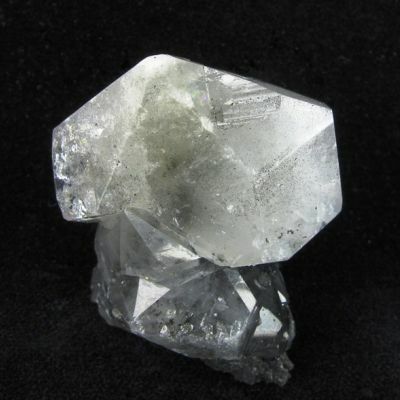 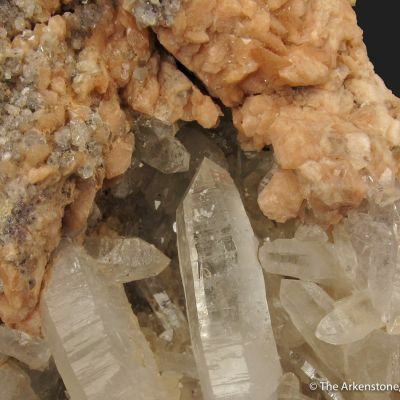 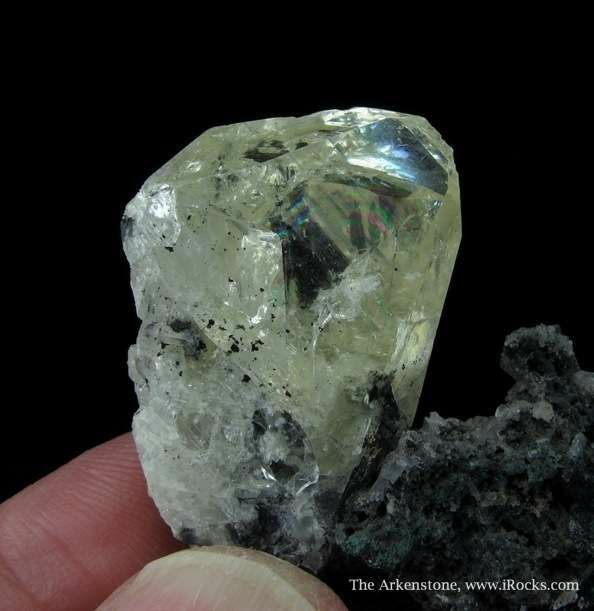 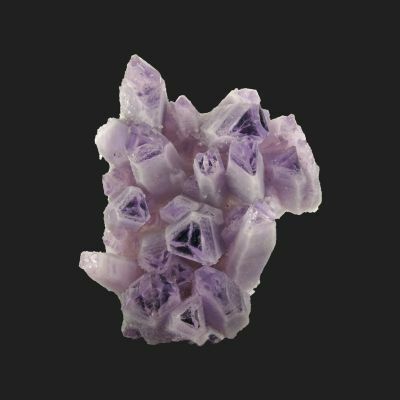 Mined prior to 1986, this 2.5 x 2 cm Anglesite crystal rests on a bed of tiny Quartz crystals, themselves on matrix. 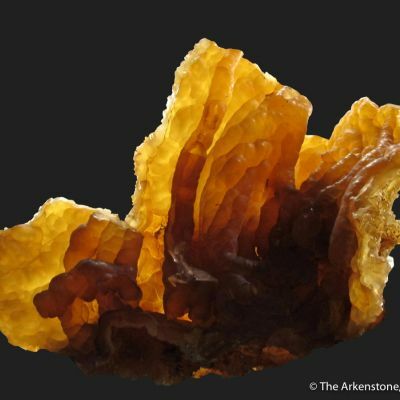 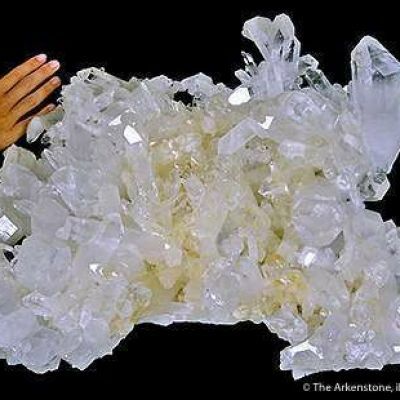 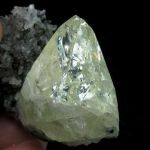 The Anglesite is super lustrous and very GEMMY, and very rare for Tsumeb! 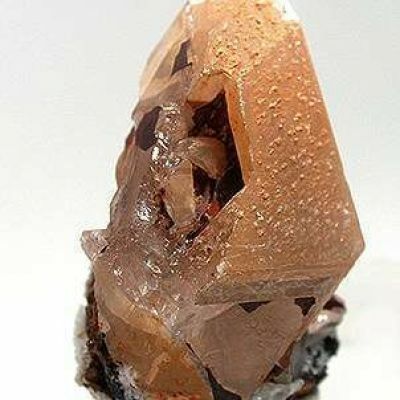 One side to the right edge has been bruised, probably from original contact, but this is certainly one of the larger and more gemmy Anglesites I have seen from Tsumeb and it can be displayed with the sharper, gemmier side facing the viewer in any case (like a pitcher plant, sticking up from matrix!). 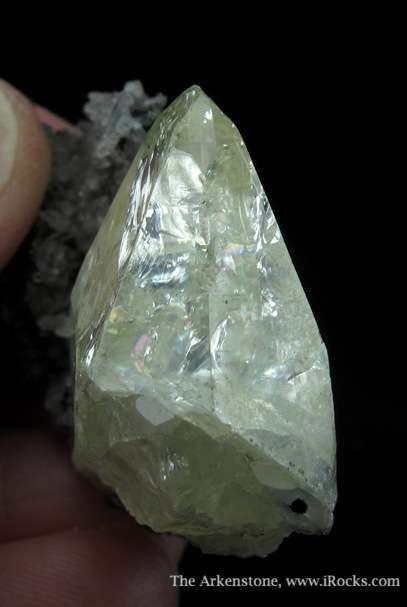 This is actually a phenomenal example of the species from this locality, for luster and gemminess. 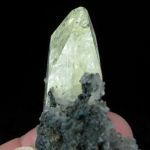 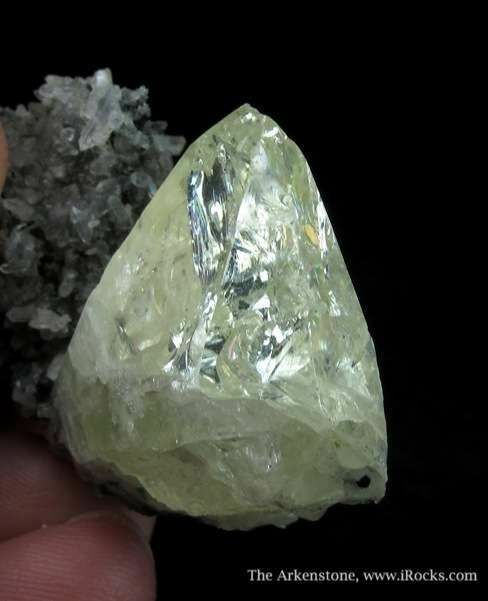 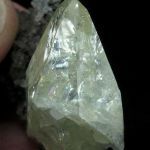 It also has some facet value, as a few good stones could be cut out of the heart-shaped fat portion of the top of the crystal.